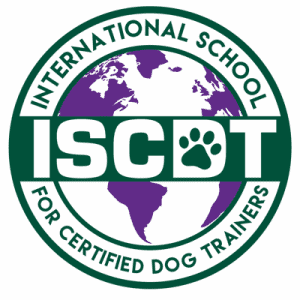 If your looking for an online dog trainer certification course then the ISCDT - International School for Certified Dog Trainers can help you achieve your goal. The ISCDT is now offering a hands-on online dog trainer certification course for anyone interested in becoming a Certified Dog Trainer. Our program is designed to get you the most hands-on experience possible with dog of all breeds, sizes and temperaments. You will have the opportunity follow along with our best trainers and learn step-by-step instructions on how to train dogs and how to communicate training information to clients that help them with continuing in-home training that is essential for a well trained dog. A career as a dog trainer is a wonderful adventure that introduces you to fabulous animals and their humans. The goal of our online dog trainer certification course is for you is to understand how dogs think and why they do the things they do. The knowledge you learn throughout this course will help you translate canine behavior to their frustrated owners. Finally, you will learn how to fix negative behavior through obedience training. We are here for you every step of the way. The more knowledge you gain through this course, a bigger asset you’ll be in the field of dog training. Our online dog trainer certification course curriculum is designed to help you build your career in becoming a Certified Dog Trainer. Our written courses are designed to take you through a multitude of dog trainer topics, from initial Canine introduction to breed characteristics & tendencies, to the implementation of best practices for continued education. We also feature in depth dog training videos with examples of implementing key commands that anyone interested in becoming a certified dog trainer should be able to understand and execute. Our curriculum is designed for the person who loves dogs of all breeds and sizes and has a sincere interest in becoming a Certified Dog Trainer. Our training program will provide you the skills for the next level of training courses offered by National & International Dog Training Certification Organizations. 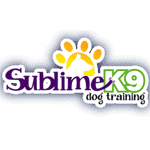 Sublime K9's Dog Trainers have over 40+ years of combined Dog Training Experience. You will be working along side professionals who are passionate about training dogs and their owners. 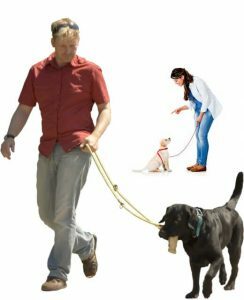 While courses and videos can assist you in becoming a dog trainer and practicing your skills, working hands-on with in-home Dog Trainers helps supplement the training techniques we teach you and allows you to see best practices put into place in a live situation. From a continuing education aspect, our trainers will relay to you the best way to move your career as a Dog Trainer forward. You can start by submitting the following form and an ISCDT representative will contact you very shortly.